The last 18 months have been quite a radical career change for me. This is because I made the infamous move: leaving the Academia and starting working in the Industry. My career from Bologna to Barcelona, and from London to the British Countryside. To be honest I am quite happy of the change. I’ve learned many things, discovered another way to do science, and possibly made some contributions. Moving from the Academia to Industry sometimes has a bad reputation, but these months taught me that to develop a drug, there are many resources to be involved: not only a smart idea in the lab, but also lot of validation, regulation, planning, marketing, budgeting, understanding the impact on the patients, and much more. Where am I working exactly? I am in the pre-clinical department of a big pharma company, GSK. More specifically my department is called Target Sciences, and the main scope is to identify and validate new targets (in layman terms: genes or biological entities) to treat indications (in layman terms: diseases or phenotypes). 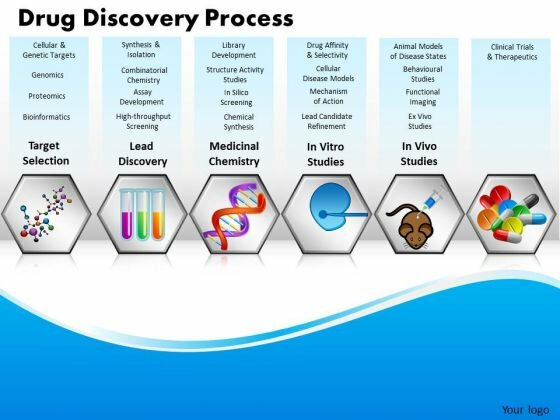 The R&D department of GSK is structured in several Discovery Performance Units (DPUs), which are small independent units working on a specific therapy area. For example there it could be a DPU focused on Oncology, or another on Asthma and respiratory diseases. These DPUs are like small start-ups within the company, and they each carry out a few drug target through the drug discovery process. My department helps all these DPUs identifying and evaluating drug targets, providing several computational biology expertise, together with genetics, stats, and experimental validation. It’s like a center of excellence which interacts with all the rest of R&D. Identifying the correct target is important because it is the first decision in the drug development process, and an error in this step can be quite expensive. Imagine what happens when a clinical trial fails in phase III because the original drug was targeting the wrong gene: it is quite a big waste of resources, not only for the company but also and more importantly for the patients. In layman terms, identifying a drug target involves answering the following question: if I want to treat disease X, which would be the best genes to target? From a computational point of view, there are several ways to answer such question. You may simply go to the literature (e.g. pubmed) and search for relevant articles. Other approaches involve looking at information from several sources, like gene expression, protein interactions, involvement in pathways, and much more. It is usually a matter of data integration, or data science. If you want to get a more general idea of the types of sources used for target identification, you can have a look at the Open Targets Platform; this is a pre-competive effort to curate and integrate data sources, supported by the EBI, GSK and other pharmas. My role, in particular, is more focused on data integration and management than pure analysis. It is about making the best use of the datasets we have access to, and understanding what is the value of acquiring a new dataset. It is also about improving communication about data usage, and discovering new technologies and methods to make use of the data. What is good about working in a pharma, compared to academia? Team Working. This is the answer that hurts the most, specially me. If you look at the previous posts in this blog, you can see how much I care about doing science in a agile way, planning properly and sharing information. The problem is that in the academia, the pressure of having to publish first author papers ruins it all. In the academic world there is a lot of collaboration, specially online, and team meetings and journal clubs; but at the end of the day, your long term prospects are all dependent on your own reputation in the scientific world. This is fair enough, but difficult to reconcile with real team working. Lots to learn: everybody is usually involved in more diverse projects, and interact with more people from different background. Thus, you tend to specialize less in a specific area, and learn a bit of everything. To be honest, I prefer this approach as it keeps the attention higher. I am glad that I did a PhD, during which I spent several years specializing on a single area, human genetics; however, now that I got older I like learning more about different fields. Possibility to grow. You are generally more pampered and cared than in the Academia. You are actively encouraged to follow courses and learn new technologies; and my line manager complains if I am still in the office after 6 pm. (to be honest my PhD supervisor also did). There are opportunities to do secondmends in other parts of the company, and learn about clinical trials, finance, or anything related. Every year you define a list of objectives with your line manager, and you are valued depending on how you reach them, in a fair process, and you are valued for your efforts and accomplishments. Politics. Unfortunately politics is everywhere, specially in a big international company. Luckily I am still unimportant enough, that this doesn’t affect me much. Simplification. Interacting with people with different background means that you need to simplify and learn to explain complex biological concepts in a way that is easy to understand. This is not easy and sometimes lead to funny effects, e.g. when you start hearing buzz-words and simplifications. On the bright side, at least I am improving my communication skills. For personal reasons I haven’t written much in this blog lately, and I may not be able to write much in the near future. However, hopefully I’ll be able to write more about this new adventure, and describe how science is done from the industry side. Can’t wait to read more of your journey! And congratulazioni Giovanni … that’s a cool move from you! Hi Giovanni! Very interesting topic! I’m glad to see that you very happy with the move from academia to industry. Thanks Giovanni! Very interesting post. We work exactly in the same field but I am still “stuck” in Academia. Could I ask you which is for you the best way to find a bioinformatician/computational biologist job in a pharma company like yours?